Every June for the last five years, local company Cupcake Royale has released "The Gay" cupcake—rainbow confetti cake, vanilla buttercream frosting, sugar rainbow topper—to celebrate Pride month. 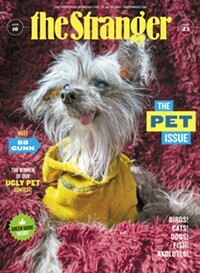 The cupcake costs five dollars and is available until June 30 at all six of the company's ocations. This year, for every Gay sold, Cupcake Royale is donating one dollar to the National Center for Lesbian Rights (NCLR). It's an election year, so everything right now has been turned up a notch—including Cupcake Royale's merchandise game. 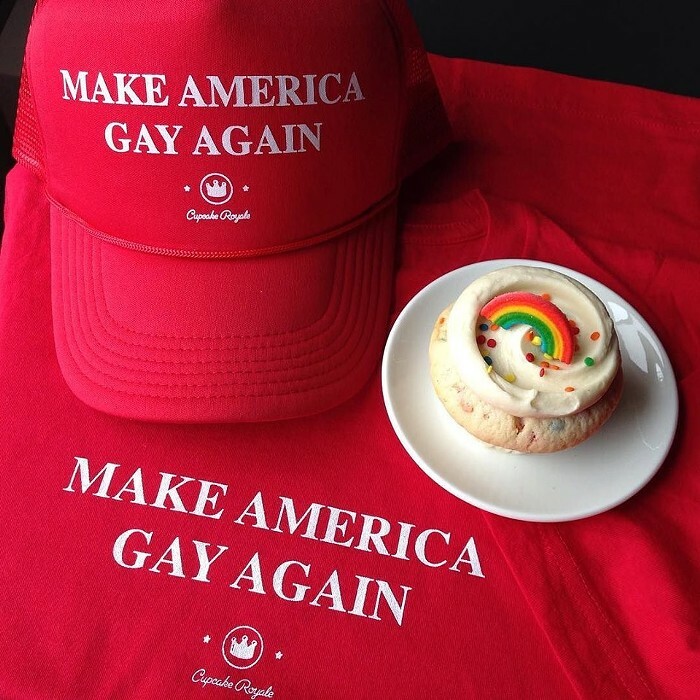 Along with cupcakes, the company is selling red t-shirts and trucker caps with the campaign slogan everyone can get behind: "Make America Gay Again." For every item sold, two dollars will go to the NCLR. Shirts and hats are available at stores and online.